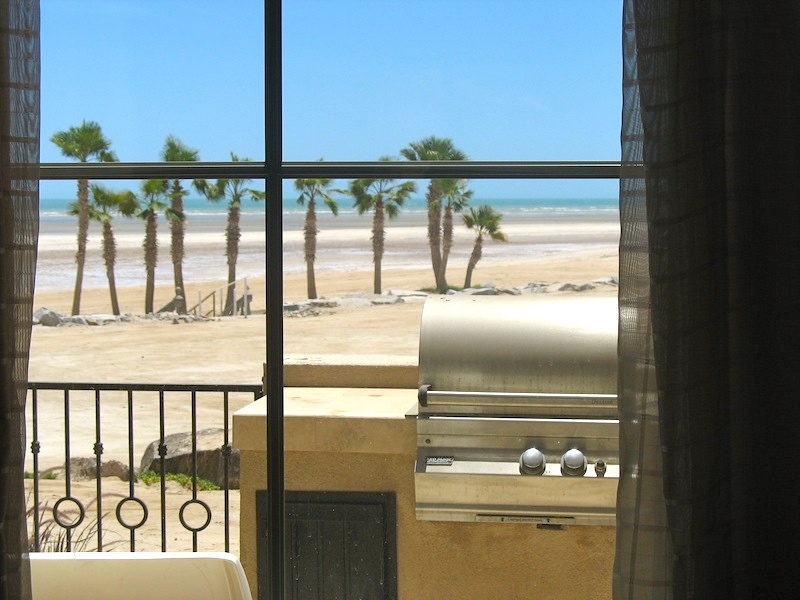 San Felipe beachfront rental sleeps 4 guests! 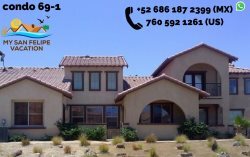 This beautiful beach front San Felipe rental home is located in the private gated community of Eldorado Ranch. Often described as a private five star resort, Eldorado Ranch San Felipe is the perfect luxury beach vacation destination for family and friends. As you come in to San Felipe on Highway 5, Eldorado Ranch is hard to miss - this is the largest community in San Felipe with the most amenities to keep you entertained during your trip to San Felipe. This single floor property offers extraordinary tranquility and privacy. Enter the home through the renaissance wood doors and note the Travertine Marble floors. The living room couch is made from Italian leather - a joy to sink into. There are two bedrooms; master suite and guest room. Both bedrooms have been furnished with comfort in mind - each with a separate bathroom. The master suite bathroom comes with a shower, double sink and bathtub. The master bedroom leads to a patio and on to the beach. The kitchen boasts all the appliances you will expect to find in a fully functional home. The stainless steel appliances are high end - ideal for making your favorite meal. A gas BBQ grill is available for your use. Feel like swimming? You have the choice heading out the door to the beach, or chose from one of two swimming pools. You can chose the bigger La palapa pool with bar and restaurant, or the more quiet pool for condo guests only. Need to stay connected? All restaurants in our gated community offer free Internet Wifi.